In 2015 I curated an exhibition in Brooklyn, NY called HIWAY HAIKU that drew from my family's extensive vintage vanity plate collection. I would like to show it more widely and tour it if the right sponsor or collaborator is interested. There have also been requests to make a coffee table book with photos of the plates so I am looking for a publisher to help facilitate that. While some vanity plates exhibit poetry, wit and humor, others make philosophical observations, reveal a passion, or express good cheer. 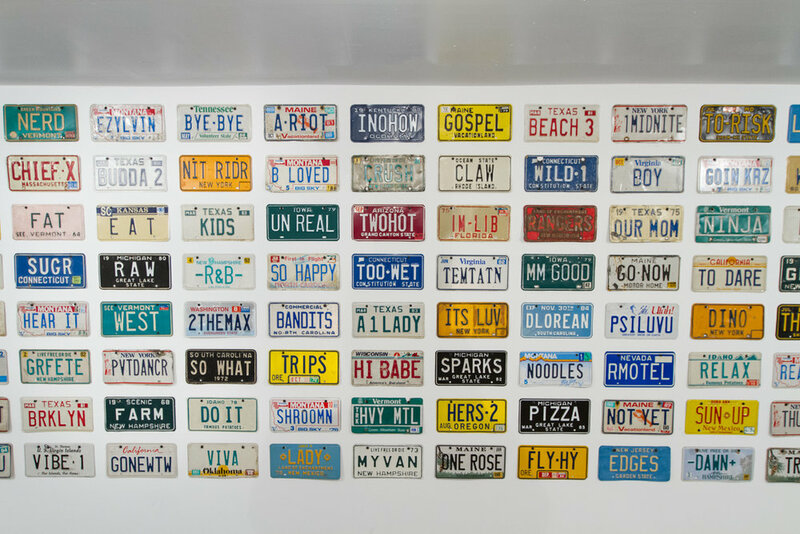 Any catalog of American vernacular art forms should include the vanity plate. Each DMV-issued vanity plate is a unique example of human creativity touched by time’s relentless hand. It is a personal voice reaching out at high speed – a flash of old school social media. 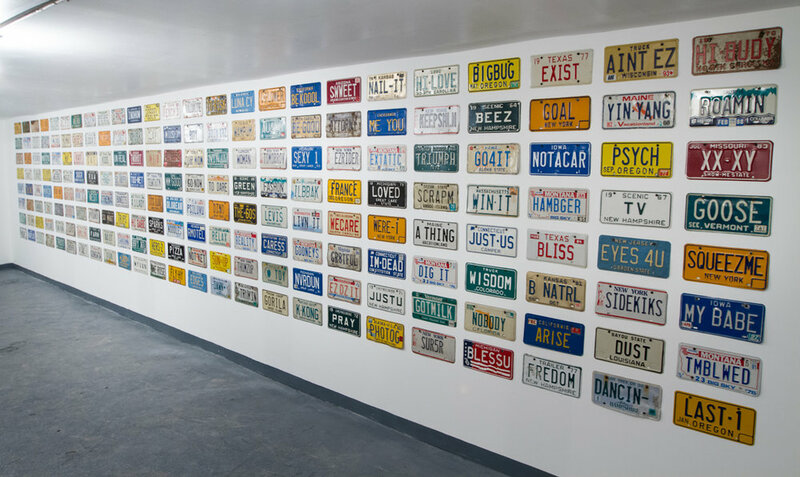 An aesthetic transformation occurs when vanity license plates, detached from car or truck, are placed on a wall. Freed from context, many plates speak boldly of universal themes, letting viewers find personal meaning in a simple object barely rescued from the junkyard. 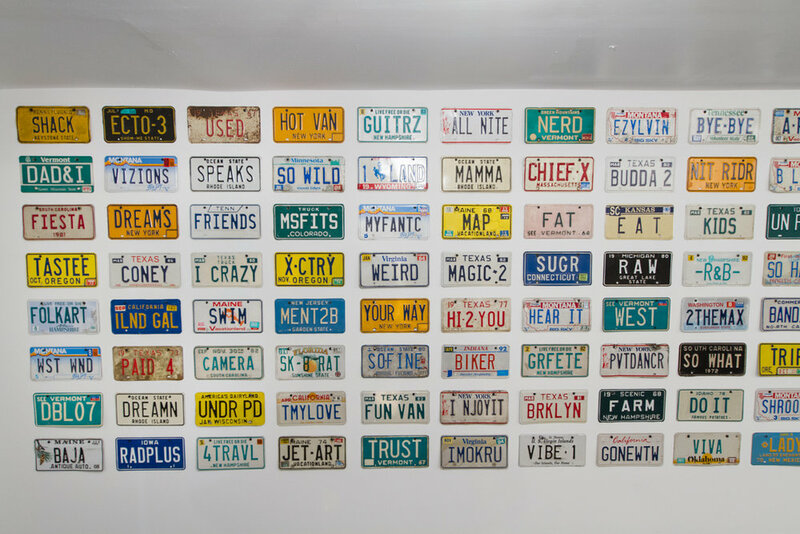 John and Peter Kleeman began collecting vanity plates many years ago as an offshoot of the Kleeman family’s Space Age Museum, which celebrates the cultural history of the Space Age. The father – son team have discovered parallels between the exploration of space and America’s blue highways. They enjoy preserving artifacts which are part of our cultural heritage, but have not yet been showcased by traditional institutions. © 2019 Peter kleeman. ALL RIGHTS RESERVED.